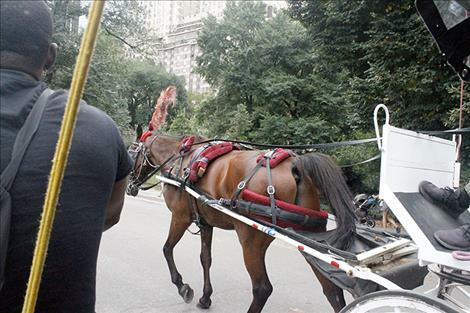 Photo taken by Chandra Whiteman-LaForge during her trip to New York City. Photo taken by Chandra Whiteman-LaForge beneath the Armed Forces Memorial Bridge in Polson last February. When high school junior Chandra Whiteman-LaForge snapped a photo of her friend in a pink dress beneath the Armed Forces Memorial Bridge in Polson last February, she never dreamed that it would earn her the opportunity to travel over 2,000 miles to the nation’s largest city. Whiteman-LaForge took the photo for her Two Eagle River School photography class. In September, she and her classmate Lee Anna Powell flew to New York City. Photos they took in Polson were displayed in Photoville, one of the largest photo exhibitions in the world. 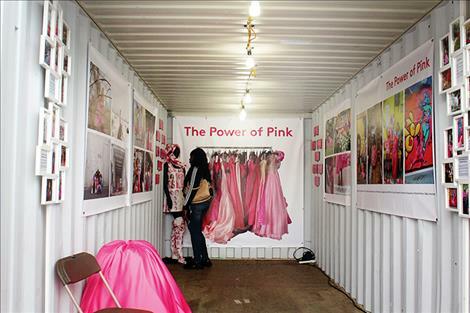 Photoville uses re-purposed shipping containers to house exhibitions under the Brooklyn Bridge. The annual event is free and open to the public, and this year, 95,000 people visited the 92 exhibitions. David Spear, TERS photography teacher, said that he chose Whiteman-LaForge and Powell to attend the event for a number of reasons. “Both of them were very invested in the project, both of them had made strong pictures in the project and both of them had not been to New York before,” Spear said. Spear facilitated the students’ trip. Through connections from his previous career as a photographer in New York City, Spear’s students were invited to participate in “The Power of Pink: A Photography Project.” The Lower Eastside Girls' Club in New York City started the project. The LEGC sent TERS students pink prom dresses, and student photographers took photos of one another wearing the dresses. 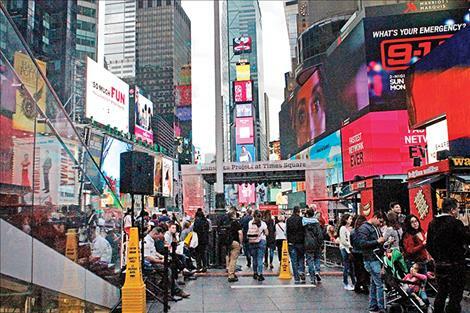 Students from Los Angeles, Mexico and New York City took part in the project in their respective locations. The pink dress project highlighted the students’ unique homes and understandings of the color pink. Whiteman-LaForge said the project led her to see pink as a color that empowers women and represents the beauty of nature. “It’s like a sunset,” she said. After seeing their work, the LEGC asked to include Whiteman-LaForge and Powell’s work in their Photoville exhibition. They invited the girls to take an all-expenses-paid trip to New York City where they saw their exhibit, participated in a panel discussion on the project and toured the city. TERS student work was also featured in an exhibit called “Citizenship Reflection on Rights” at Photoville. Spear said that the experience allowed his students to share their work with a wide audience and learn more about the world of photography. Whiteman-LaForge said she was nervous to speak on the panel but excited to share her perspective as a Native American student from Montana. She was surprised to learn that people in the audience had never heard of the Flathead Reservation. 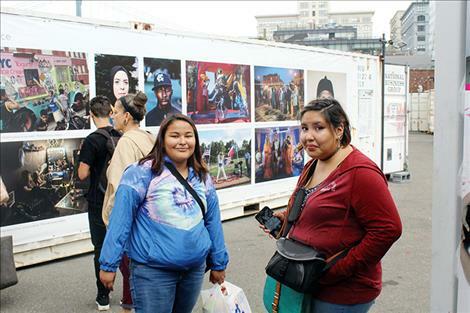 As Photoville attendees learned about the Flathead Reservation through the TERS students’ photos, Powell and Whiteman-LaForge absorbed New York City and the perspective of their fellow artists. “I loved the art,” Whiteman-LaForge said, adding that photos by an African photographer inspired her. She has used the perspective she gained from viewing other artists’ work in her own work since the trip. Though she was initially overwhelmed by the city, LaForge-Whiteman said she loved the food, seeing the Statue of Liberty and witnessing the cultural diversity. “I heard Portuguese, Chinese, Japanese and all the other foreign languages,” LaForge-Whiteman said. Though Polson, Montana and New York City can seem worlds apart, LaForge-Whiteman said that walking on the streets in New York City reminded her of exploring the streets of her home in Polson. The city’s multicultural character also struck LaForge-Whiteman as familiar. “We have different tribes here. 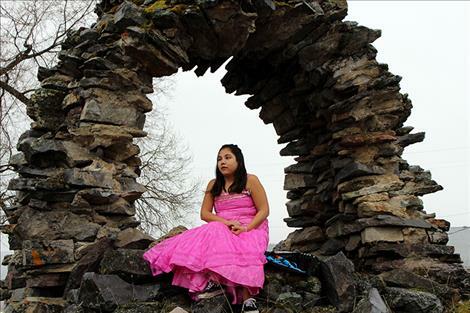 I’m from Cheyenne and Crow, but I go to a Salish school,” she said.